As the capillaries of the surface are protected, contaminants will sit on top, allowing them to removed by basic cleaning operations. Thanks to Aqua Fend® surface protector, pollution, oil, grime, grease, bird droppings, algae and other surface contaminants are no longer an issue or expensive to remedy. The primary concern is to prevent the build-up of dirt particles and damp which can react with the masonry and reduce its lifespan. Protecting surfaces also extend the cleaning cycle. 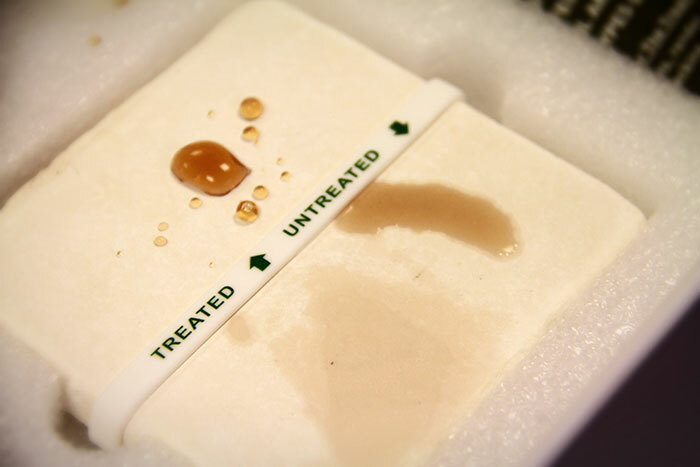 Independent tests have shown Aqua Fend® to be the industry’s leading surface protection solution. The product range now includes four exclusive products that are specifically designed to protect buildings, pavements and floors against a multitude of unwanted contaminants. Many leading companies trust Aqua Fend® including numerous City-based bank and property managing agents, among others. Aqua Fend® surface protector prevents unsightly discolouration or marking of surfaces. 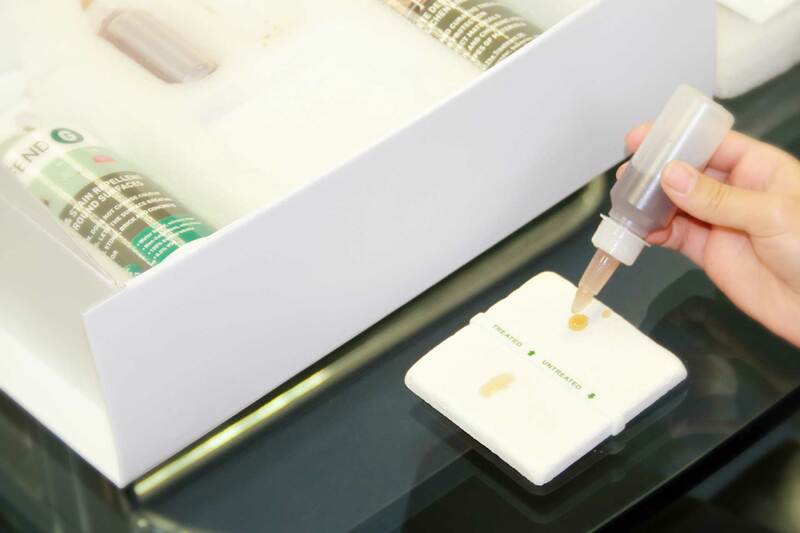 Problems caused by staining can be costly to remedy – be they through organic growth on a façade or other causes, such as coffee stains or discarded chewing gum on the ground. 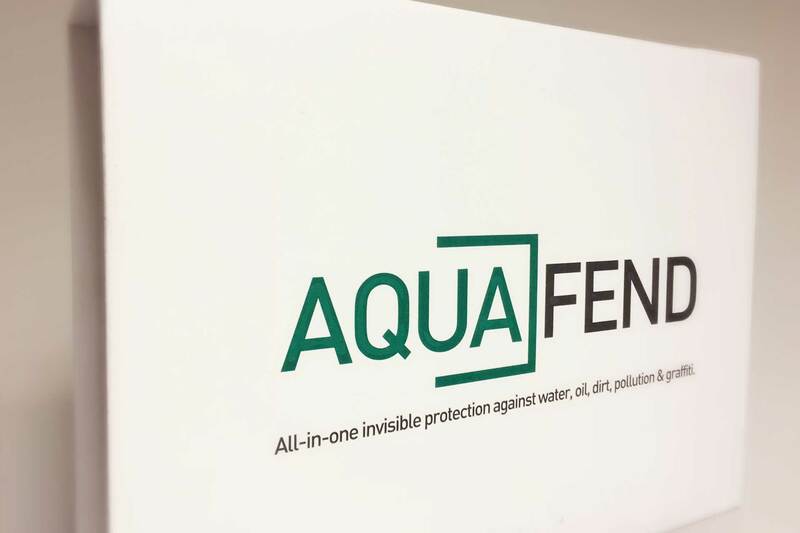 Aqua Fend® creates an invisible barrier, making staining avoidable and cleaning easier. Delays the ageing process enabling surfaces to look new for longer. Unlike some competitors’ products, Aqua Fend® surface protector is not removed by cleaning works. Protection and a life expectancy of twenty years on facades. Product performance can be guaranteed by way of a ten-year insurance backed warranty. Reduces ongoing maintenance costs allowing a quick return on investment.